Public health professionals have long understood that controlling health care costs is largely dependent on improving the health of communities. Healthcare organizations, while supporting the principle that community health improvement is good for society, have played less of a role in addressing issues that impact the public’s health. There are many reasons for this, including the fact that historically, there’s been little business incentive for the healthcare industry to get in on the public health action. Instead, managed care organizations, including hospital systems, have needed to focus on reducing per capita healthcare costs of their own patients, leaving population health in the hands of the public health field. But what if we could more effectively bridge these disparate roles to align efforts and resources to enhance the impact on population outcomes? Public and private payers favor the formation of Accountable Care Organizations (ACO), which are responsible for the overall health of a defined population of insured people. Healthcare organizations must meet a set of quality measures, which are increasingly tied to reimbursement. As a result, important elements of each healthcare organization’s financial health depends on delivering high quality care to their entire panel of patients. For example, a series of quality measures is directed at close monitoring and careful treatment of persons with diabetes. Healthcare organizations have made tremendous investments in data systems to better track care quality, and implemented outreach and case management programs to help meet these objectives. As a rule of thumb, 20% of patients account for 80% of costs; outreach programs are directed to these high utilizers. Specific provisions of the Patient Protection and Affordable Care Act and IRS regulations now require tax-exempt hospitals to conduct community health needs assessments and implementation plans, realigning acute care with public health. This requirement has also strengthened community benefit departments within healthcare organizations. Population health now has a home in these departments, enabling more tangible connections with public health departments and community-based organizations. These new connections and collaborations have value to the overall organization that will allow them to continue their work even if there are substantial changes to federal law. For example, if Medicaid changes result in increases in uncompensated care, population health strategies that decrease the need for preventable health problems will continue to be fiscally sound. Although the political climate is certainly unpredictable, both public and private payers are now moving towards reliance on shared-risk contracts that favor proactive accountable care organizations. 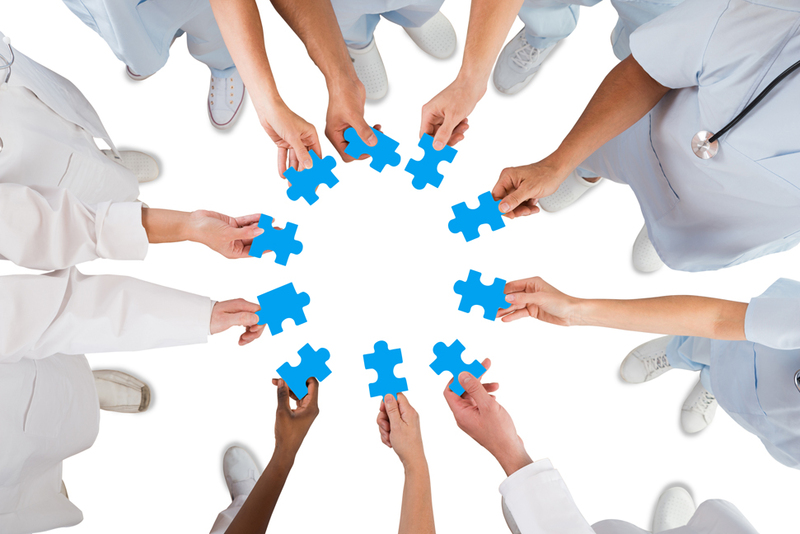 Across the country, hospitals and public health departments along with community partners are aligning their goals and resources and drawing from a toolbox of shared strategies. With these changes, healthcare organizations are now in the thick of public health. Emphasis on quality improvement and tracking outcomes has led to exploring “Why?”: Why do some patients have trouble controlling their congestive heart failure? Why do so many pediatric asthma patients show up in the emergency department with an uncontrolled episode? These questions are leading healthcare organizations to address the social determinants of health, a realm that has previously rested with public health. For example, when a person lives in a neighborhood with poor access to quality food, it may be very difficult to adhere to a low-salt diet – potentially impacting a person’s heath status. When a child lives in a home that is infested with pests or mold, it may be impossible to control his asthma. These and related social determinants of health are now part of the everyday analysis that healthcare organizations depend on to meet the expectations of a value-based purchasing system. So, getting in on the game of population health for their own coverage area now makes business sense for healthcare organizations as it impacts their bottom line. The next question innovators are grappling with is, “How?”: How do healthcare and public health, with a shared interest in improving population health outcomes, capitalize on expertise and resources and find realistic opportunities for collaboration? A collaborative, data-informed process serves as the foundation for effective community health improvement efforts. Results from the community health needs assessment provide a common understanding of community needs and assets among stakeholders and highlights priority areas and specific populations with the greatest needs. These findings guide an engaged planning process for developing a hospital’s community benefits implementation strategy and, in some instances, a broader community health improvement plan. Improving population health is a team sport, one made better through partnership between healthcare organizations, public health departments, and the community. Our series will next take an in-depth look at how healthcare organizations have effectively collaborated with multi-sector partners to improve population health outcomes.